Interesting points. However, where I come from, executive director is the recognized title for the heads of non-profits, with the possible exception of multimillion-dollar agencies. Everyone understands it. Even when the ED is recognized (in bylaws and/or policies) as the CEO of the agency, they still tend to use the ED title, The CEO title smacks of the for profit sector, which may be off-putting to the social service sector, perhaps a tinge of “playing out of your league.” President is definitely from the for profit sector, and could be confusing from the perspective that some boards still refer to their chairs as “presidents. I know that many nonprofit directors hold similar viewpoints. But an ED can be the only employee of a small church or the chief executive of an emergency health facility with a $10 million budget. 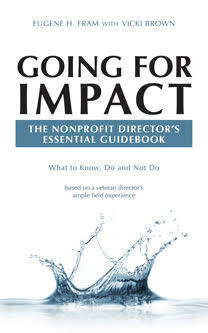 The reality is that many of these organizations continue to employ the ED title: long after it is appropriate, when it can negatively affect the perception of the organization’s significant impact, when it can negatively impact fundraising and when it can make it difficult to employ highly competent people. While I agree the ED title is well recognized in the nonprofit world, others not acquainted with nonprofits, simply recognize the president/CEO title as the person having full operational responsibility. This must be made abundantly clear to both those acquainted and not acquainted with nonprofits, especially if the chief executive is involved with fund raising. Those opposed to the change convey the perception that nonprofits, with the president/CEO title, are “playing out of (their) league,” (see italics) and are aggrandizing their impacts. This perception is not consistent with what nonprofits have contributed for decades, especially during turbulent times. Many of the people I have met in nonprofit organizations figuratively stand ten feet tall for what they do for all of us. Their top leaders (presidents, vice presidents, CFOs) need to be recognized with titles that everybody understands, if the board and staff are to be viewed as partners, not persons micromanaged by the board, in achieving the organization’s mission. ← What’s in a Name? Benefits of the Nonprofit Executive Director Title. Professor, I have long felt that title should represent the authority of the position. Until this I had not considered the perception of community impact conveyed by titles. I do agree Professor, NFP EDs are more often being sourced from the corporate world who more clearly recognise the CEO title and responsibilities. The line between NFP ED role and responsibilities can sometimes be blurred with that of the Board, and not give a clear definition to the expectations of the ED. Maureen. I agree and you stated the problem well. But the solution lays with the board willing to delegate more and then fairly and rigorously evaluate the organization and chief executive. Also the ED has to willing to accept greater responsibility for operations. Many do not want to have it. Some boards enjoy micromanagement, even though it circumscribes the growth of the organization.